Seven radically different signature tones from Dan Donegan of Disturbed in a limited-edition DigiTech® effects pedal. Dan Donegan of the multi-platinum band Disturbed asked us to help him recreate his studio tones for his live performances. The result is The Weapon™. Seven of Dan's unique tones from songs like "Mistress" and "Stupify" are just a click away, plus extras like sitar simulator with reverb, dynamic autowah and Whammy™-quality pitch shifting effects. 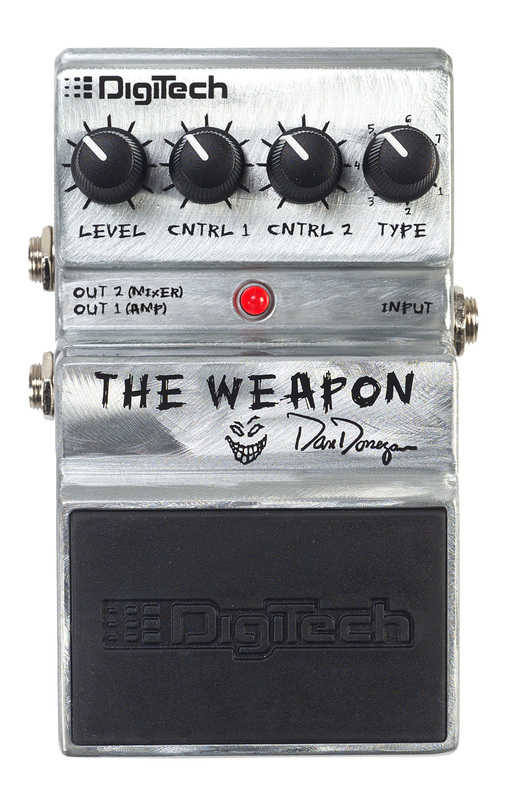 If you're a Disturbed fan or just want to add some awesome tones to your effects arsenal, it's time to pack The Weapon.